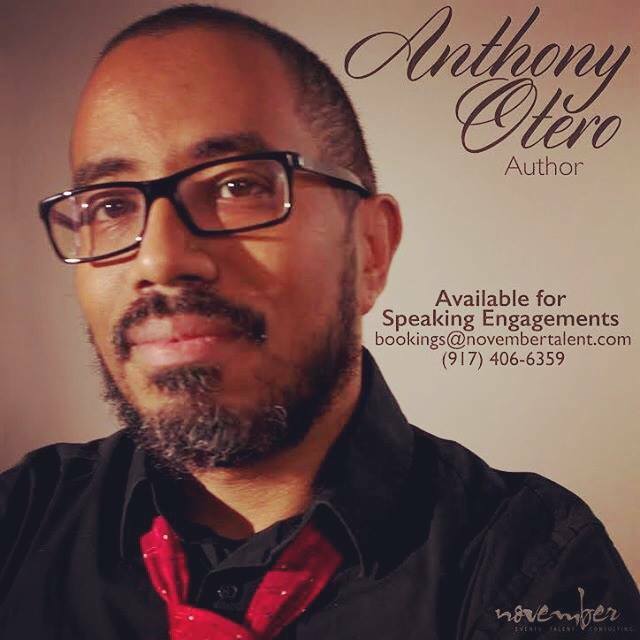 Anthony Otero, a Bronx native, Syracuse University alum, Afro-Latino blogger, and frequent contributor to the Huffington Post, has aspired to be a published author for most of his life. He began his blogging career in 2009 with his first blog called Inside My Head that chronicled his journey through life as student affairs professional at Syracuse University. Upon his return to NYC in 2012, he created a new blog called Volume 2 that continues his journey toward self publishing his first book entitled Hanging Upside Down. He wrote his first novel as a therapeutic outlet while recovering from his divorce and realized that his story can shed light on a man’s side of a love story—an underrepresented angle. His first book, Hanging Upside Down, is a fiction novel that explores the pressures men face after divorce, the consequences of letting good intentions go astray, and how a single turn of events can change the world as they know it. He currently resides in Harlem, New York and works for Barnard College. His second novel, The Book of Isabel, is set to come out in the summer of 2016. Thanks! I should have done this awhile ago. I hope you are doing well. In addition, I can also create professional author trailers as well as video testimonials for your book. I can also help you build a website for your book if you don’t have one already, help you write your book blurb and back cover matter, etc. If you need any other service, let me know. NYCC - Worthy or Not?